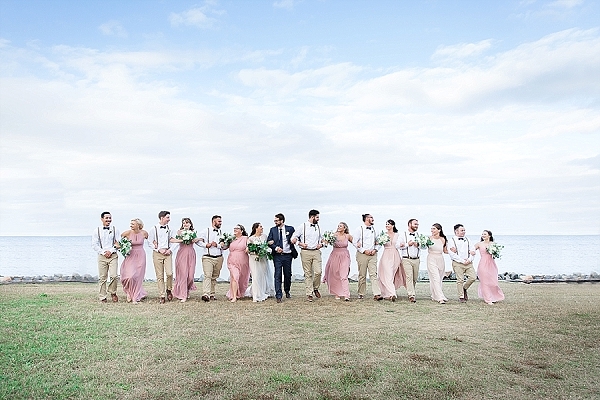 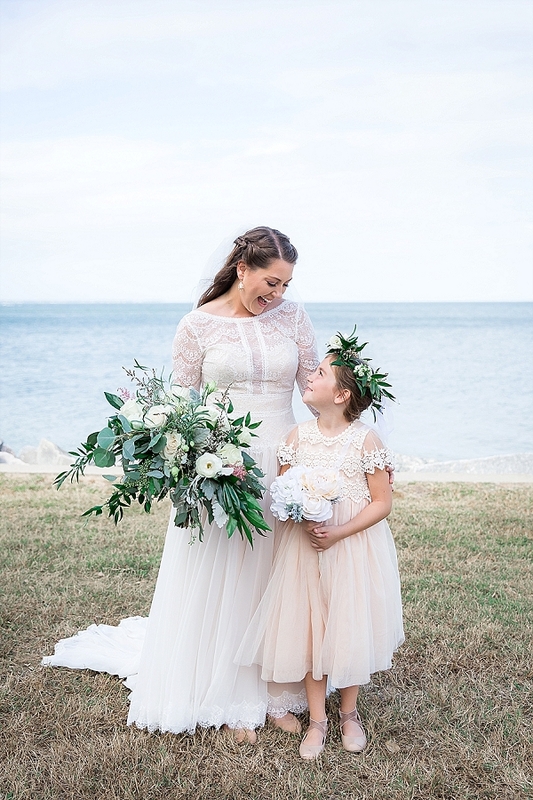 We love beautiful lesser known wedding locations like Gwynn's Island, but even more than that, we love when a venue is tied to a couple's story. 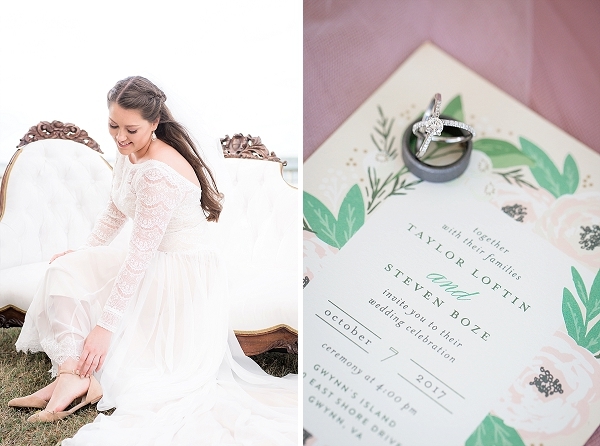 For Steven and Taylor, who met when they were still in high school, Gwynn's Island would always carry the memories of their first trip together at Taylor's family vacation home. 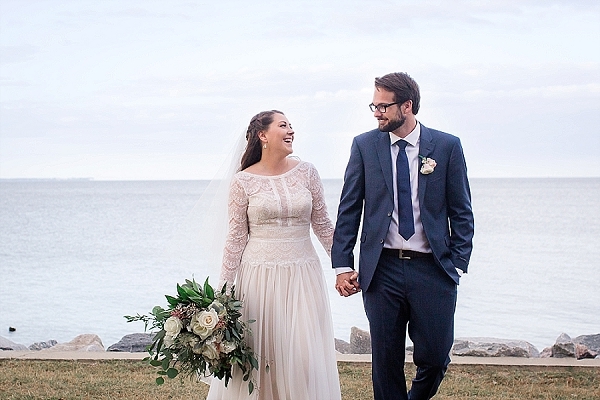 So, on an overcast fall day, these two tied the knot under a gorgeous rustic wooden arch with the Chesapeake Bay stretched out behind them. 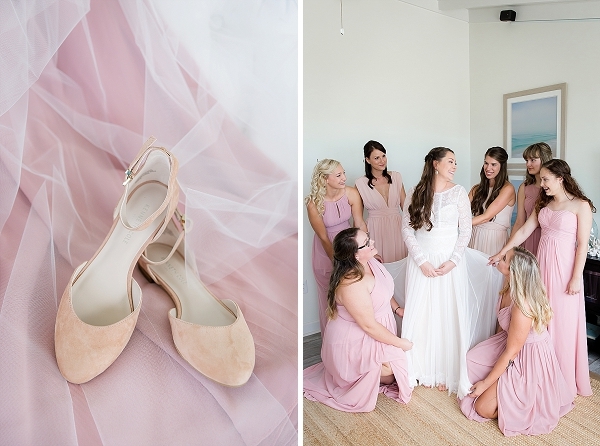 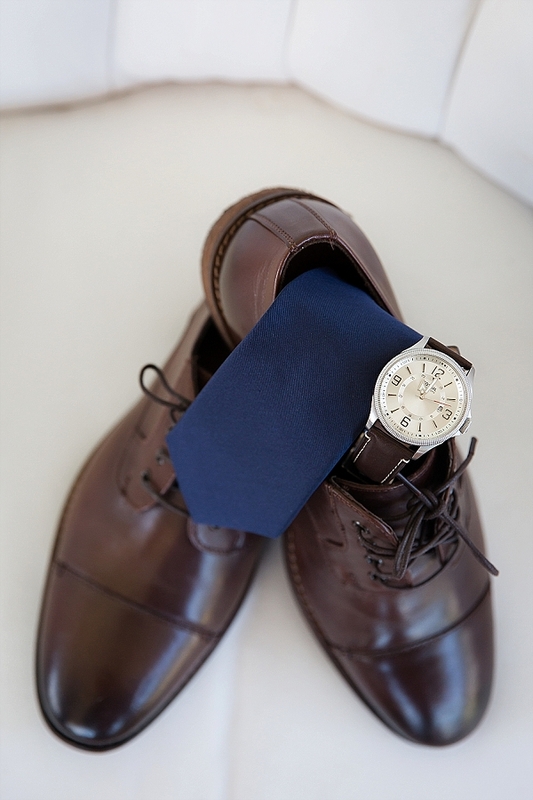 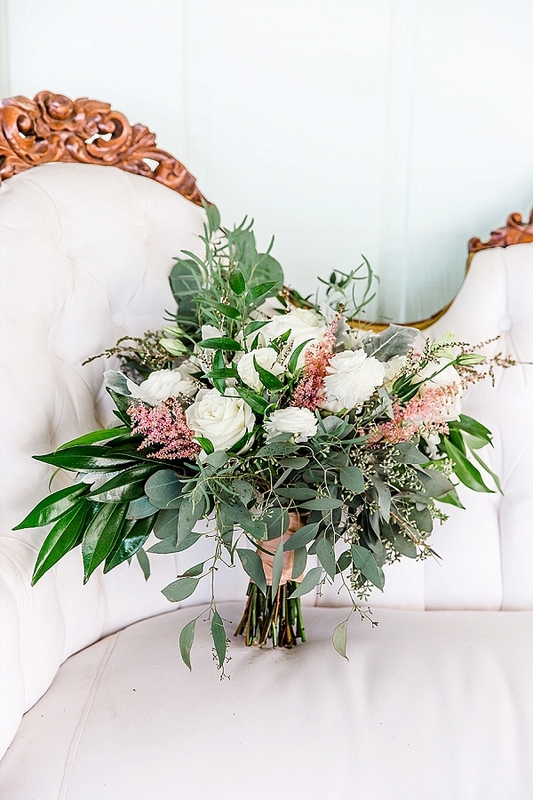 With pink suede bridal flats, eucalyptus details for days, and vintage details like the gorgeous white velvet couch, Nicole Adele Photography perfectly captured the day and the joy the couple had with each look they shared. 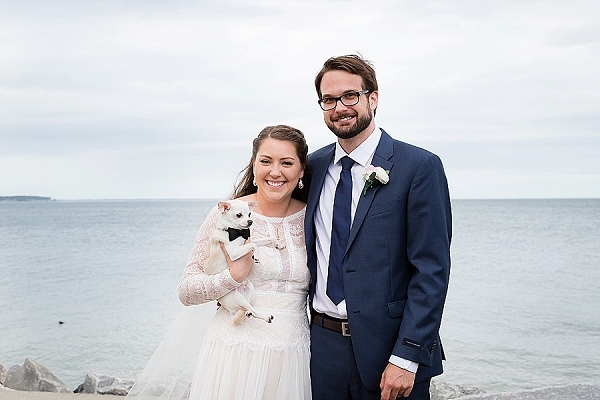 And of course, one of our favorite moments was when the bride and groom had their portrait time along the pier with their dapper bow tie clad Chihuahua named Rocko in tow. 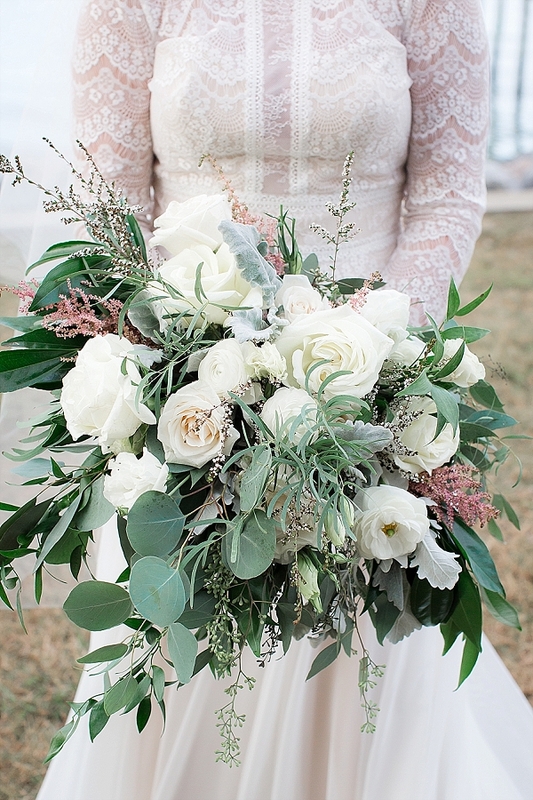 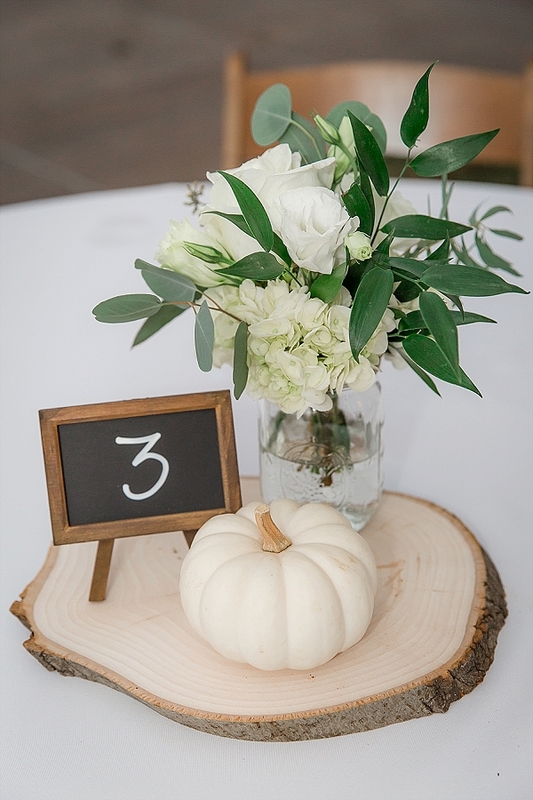 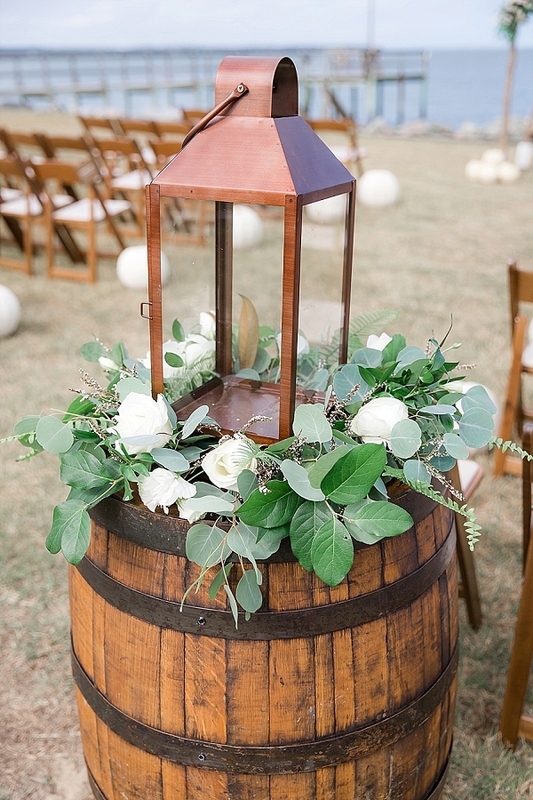 Filled with greenery, neutral fall details (hello, perfect white pumpkins! 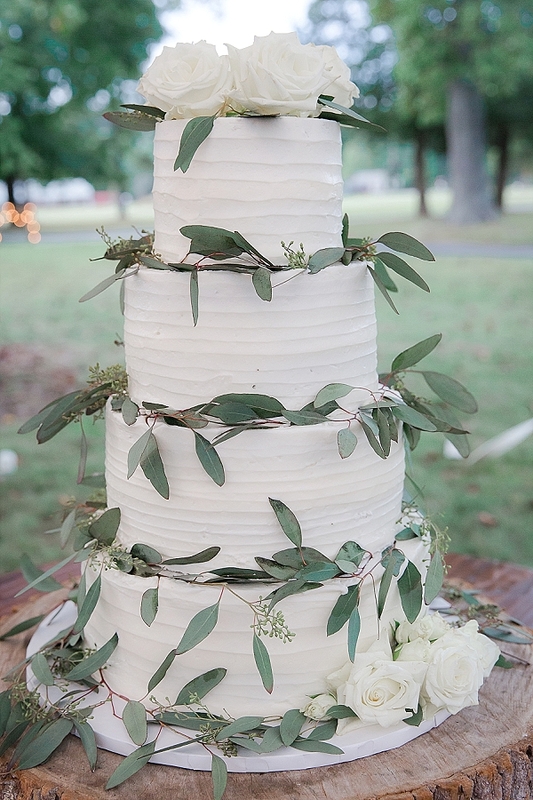 ), and oh so much love, their beautiful celebration was a timeless way to nod to their past while making their future.